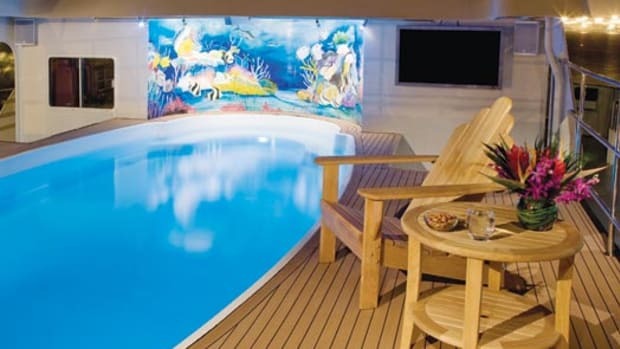 Seems pretty silly to have a gym aboard a yacht with seven decks-after all, if you can’t get a workout running up and down the stairs, nothing will do the trick-but it’s hard to argue with the view Reverie’s gym boasts. 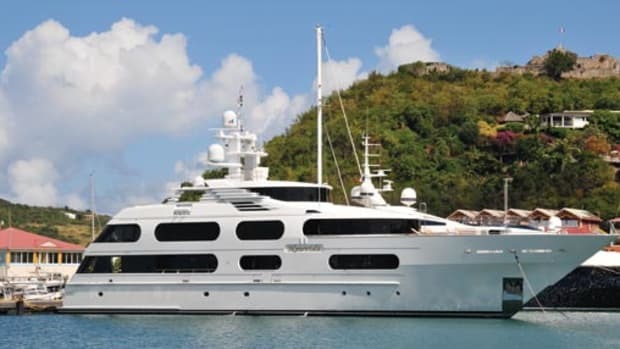 Since it’s up one level from the main deck and aft, it gives you the sensation you’re soaring. 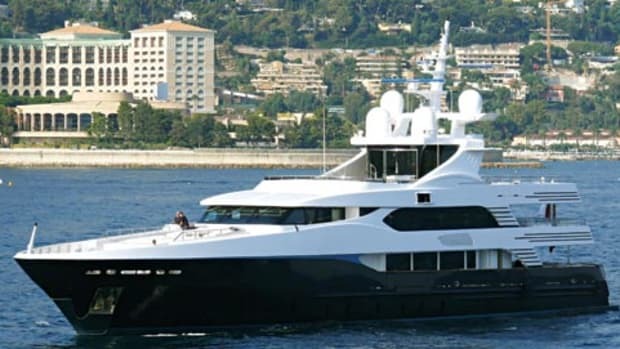 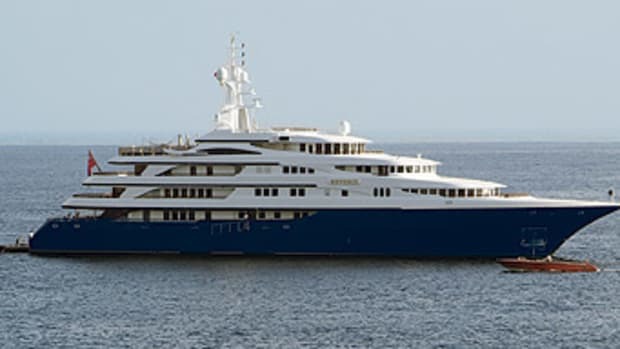 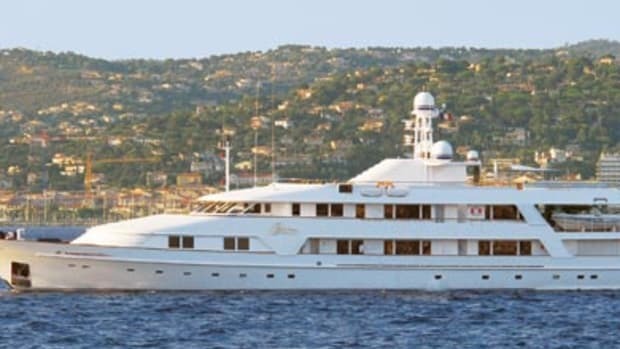 Her charter rate is F600,000 per week (about $939,000 at presstime).